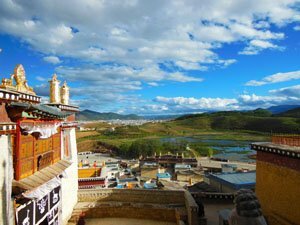 Shangri-La, formerly known as Zhongdian County, is the capital of Diqing Tibetan Autonomous Prefecture of Yunnan Province in southern China. Shangri-la is a Tibetan word meaning &apos;a land of sacredness and peace&apos;. Shangri-La is unique for its Tibetan culture and alpine landscapes including sacred snow-capped mountains and spectacular gorges. 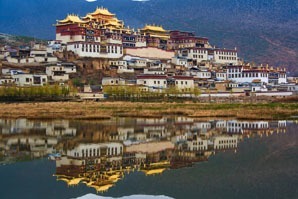 Shangri-La is located in the northwest of Yunnan Province, with Tibet to its west and Sichuan to its east. 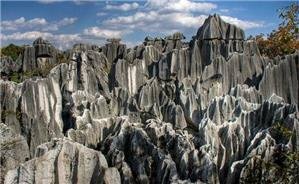 It is about 660 kilometers (410 miles) from Kunming, and 200 kilometers (120 miles) north of Lijiang. It takes about 1 hour by air from Kunming, and about 3½ hours by car from Lijiang. Shangri-La is a mountain paradise, with dense forests, alpine lakes, grasslands, and gorges distributed among the meadows and plains. Shangri-La is home to more than 20 ethnic groups, with the Tibetans comprising the majority of the population. 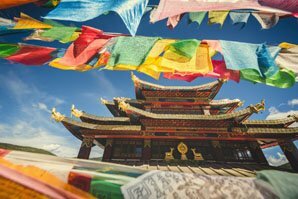 It is a great place to experience the Tibetan lifestyle and religion, especially if you have no chance to visit Tibet. Songzanlin Lamasery, known as the Little Potala Palace, is the largest Tibetan Buddhist temple complex in Yunnan Province. It houses many Buddhist statues and precious cultural treasures. 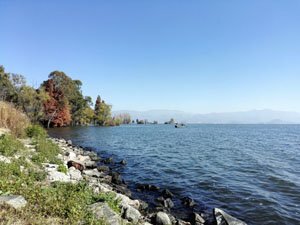 Pudacuo National Park is a stunning display of nature, with lakes, forests, meadows, streams, brooks, and rare plants and animals. 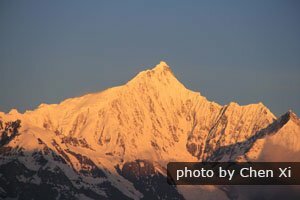 The Meili Snow Mountains, the highest mountains in Yunnan Province, are a holy land of pilgrimage for Tibetan Buddhists. Tiger Leaping Gorge, located between Lijiang and Shangri-La, is one of the world&apos;s deepest and most marvelous gorges. It&apos;s often cited as China&apos;s top hiking route. The best time to visit Shangri-La is March to October. The mountain weather in Shangri-La is very changeable. So remember to pack a jacket even if you travel in summer as early morning and evening can get quite cool. We advise that you avoid winter, because the city practically shuts down and transportation is often halted by snow storms. 1. Compared with Kunming and Lijiang, Shangri-La is a remote county. The hotel rooms meet normal Chinese standards, but the general service standard may be lower than in other cities. For example, hotels usually serve more Chinese food and less Western food for breakfast, and fewer hotel employees speak English. 2. Shangri-La is at an altitude of over 3,000 meters (9,800 ft). You may experience. So prepare well for high-altitude sickness and give yourself a couple of days to acclimatize. 3. 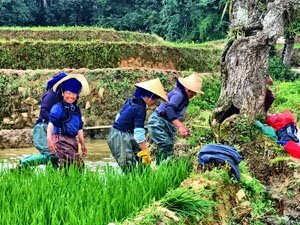 Shangri-La is home to many ethnic minorities, each living by their own customs and traditions. 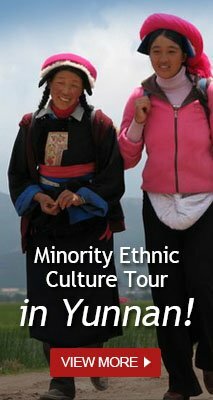 When visiting ethnic villages, be respectful, and observe any notices regarding what to do and not to do. The above tour plans are just samples to give you an idea of what is possible. We are always very happy to tailor-make a journey according to your interests and requirements.